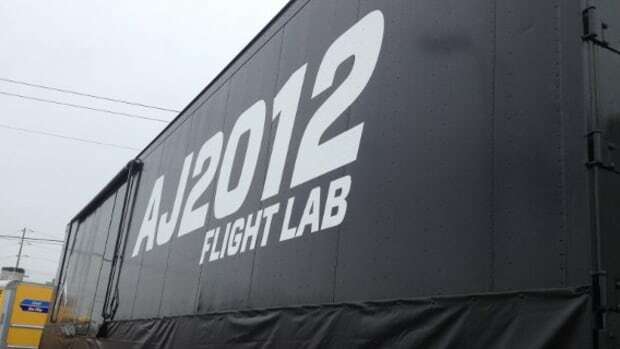 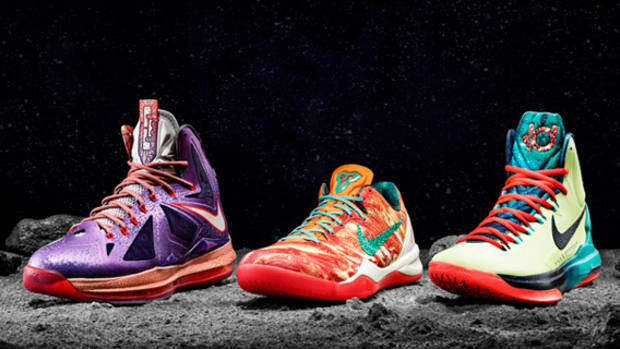 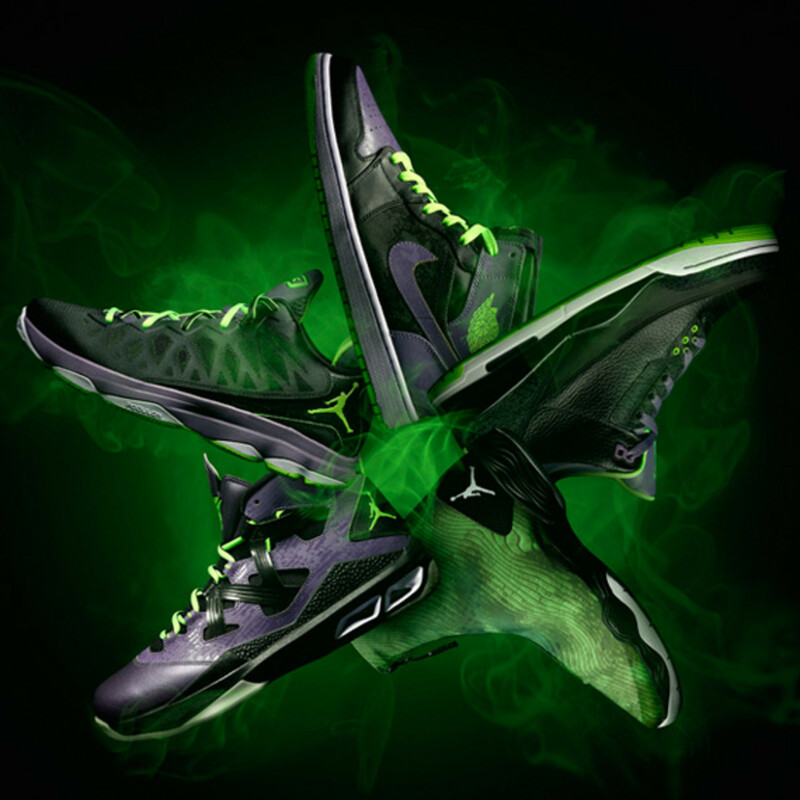 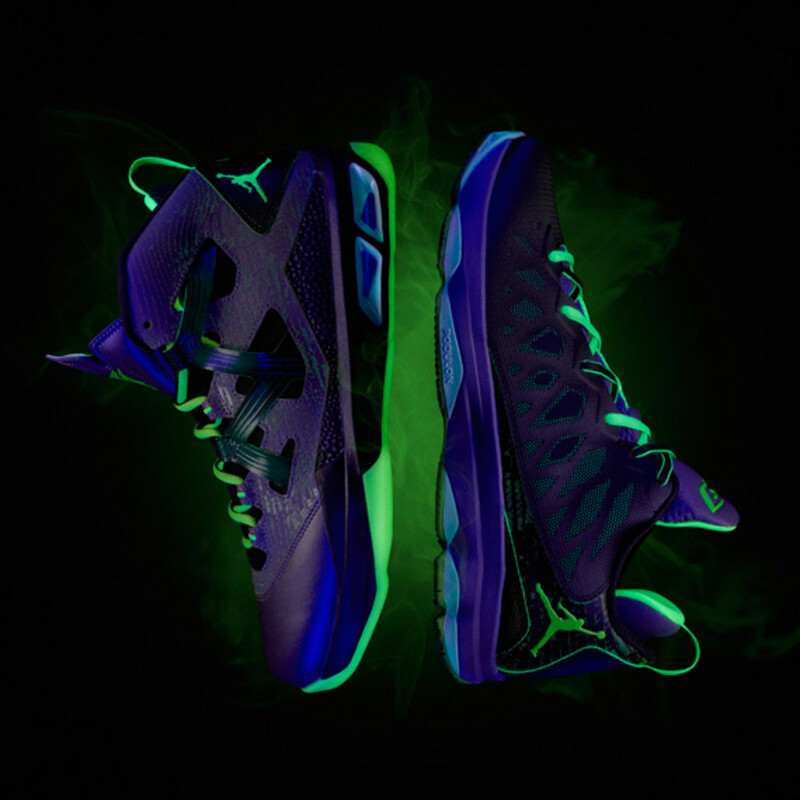 During one of basketball&apos;s biggest nights, Chris Paul, Carmelo Anthony, Russell Westbrook, and the rest of Team Jordan will be showcasing the special 2013 NBA All-Star Collection from Jordan Brand. 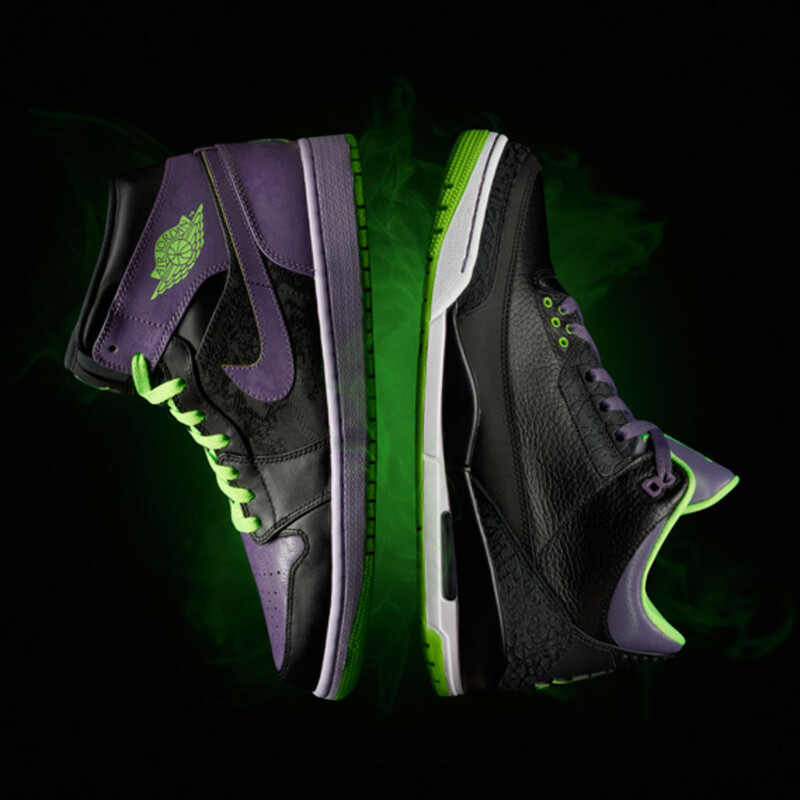 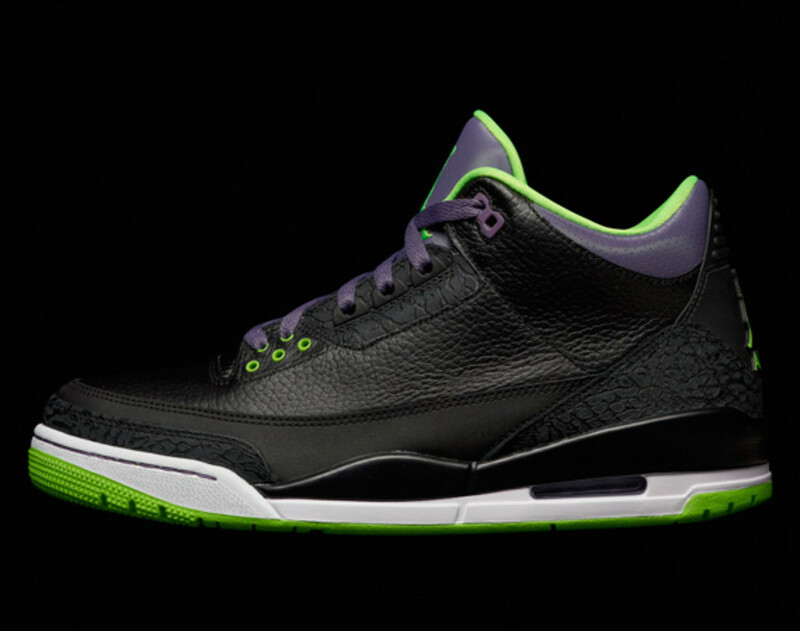 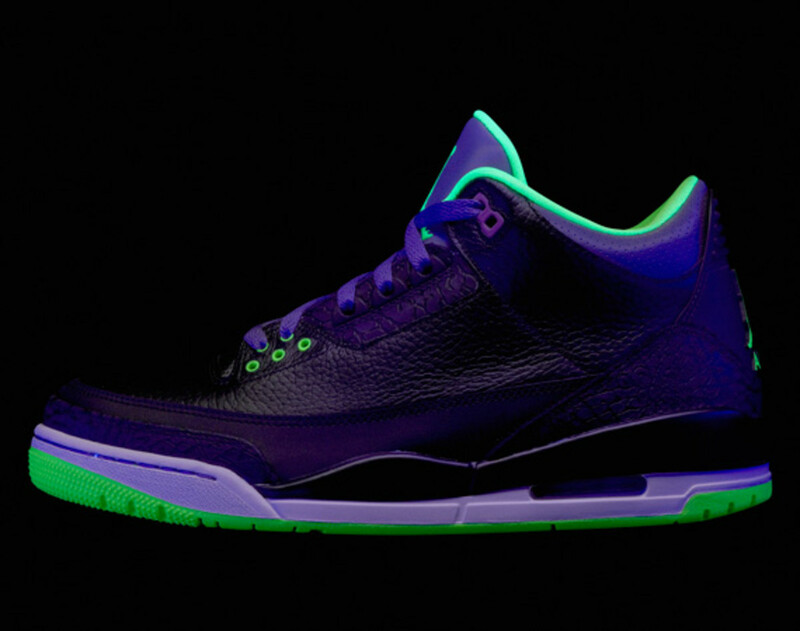 Inspired in part by stealth aesthetic and night vision, the limited edition pack will include two retro offerings - the Air Jordan I and Air Jordan III. 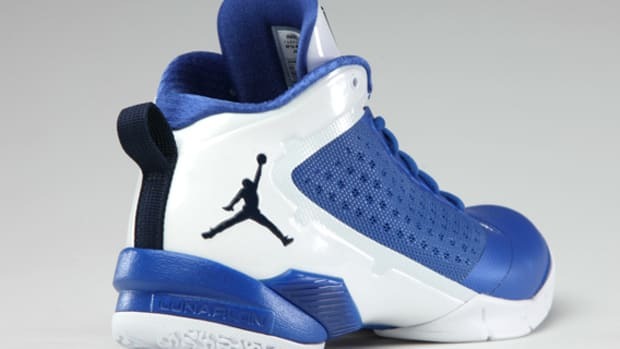 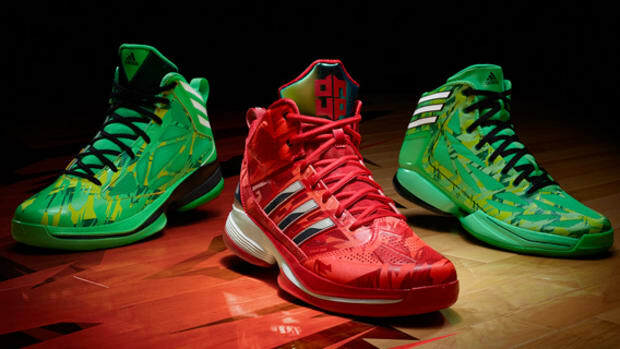 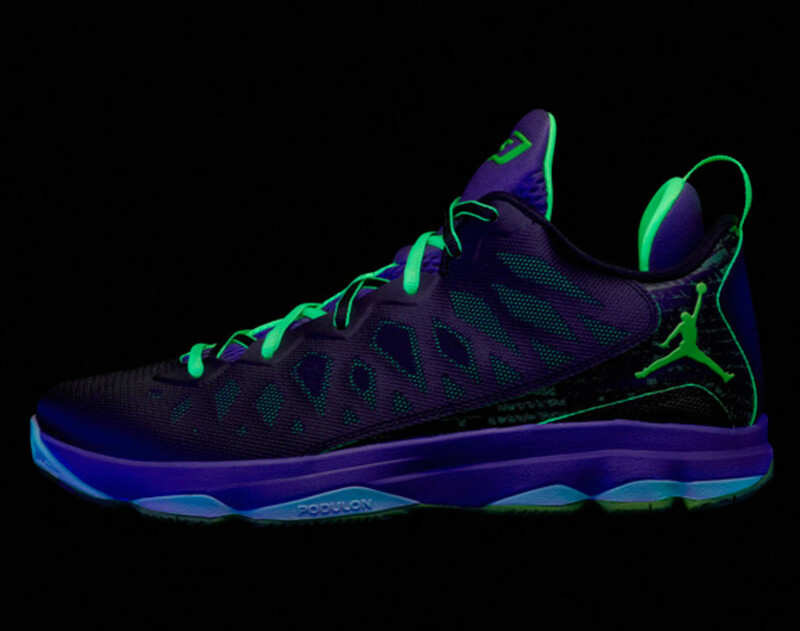 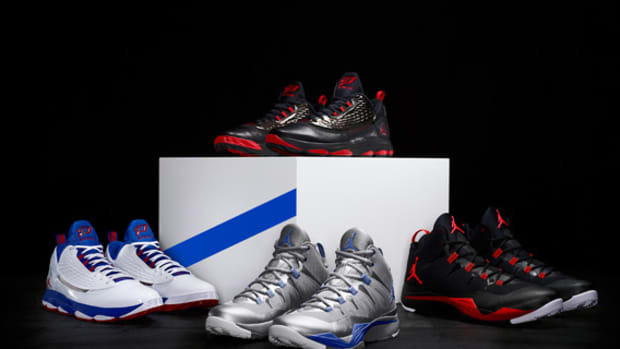 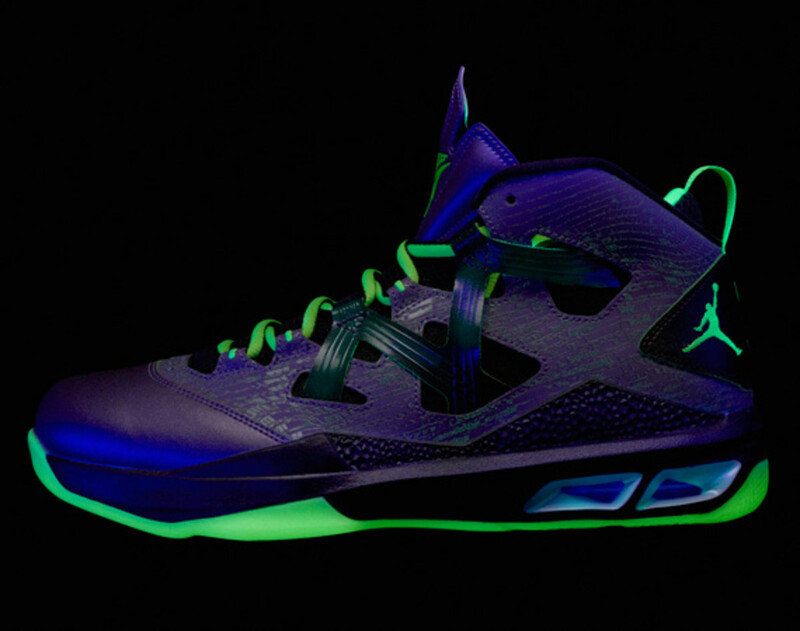 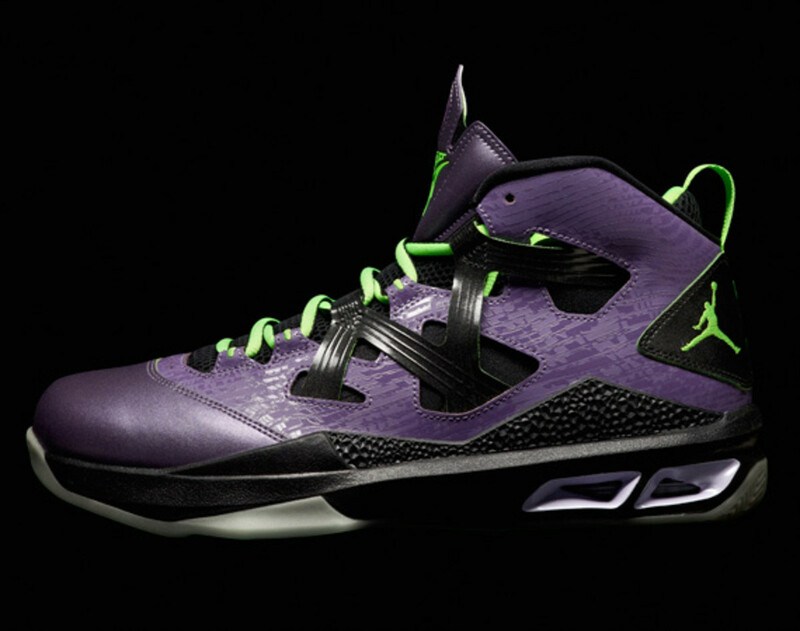 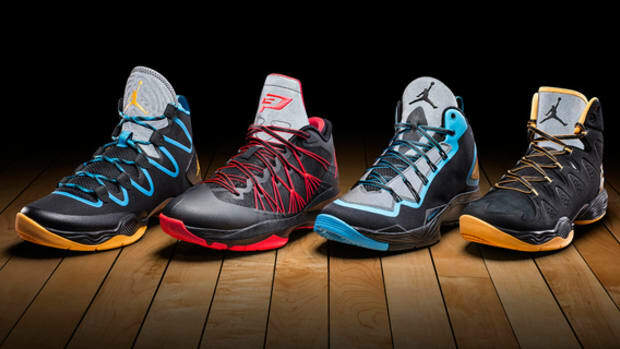 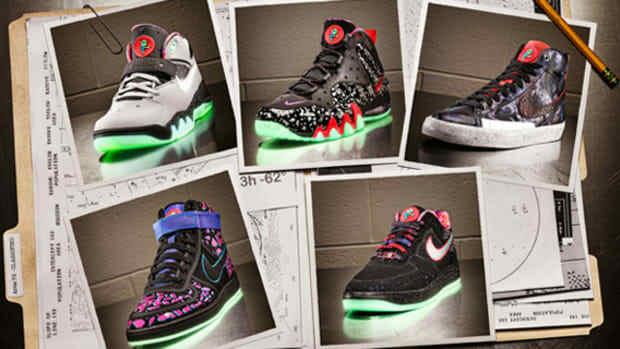 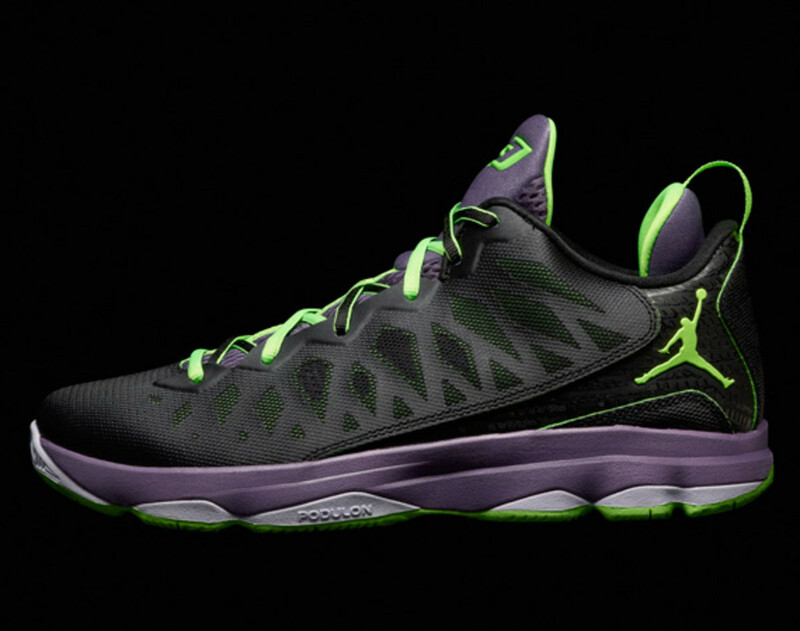 It will also include Carmelo Anthony&apos;s signature, the Jordan Melo M9, and Chris Paul&apos;s own Jordan CP3.VI. 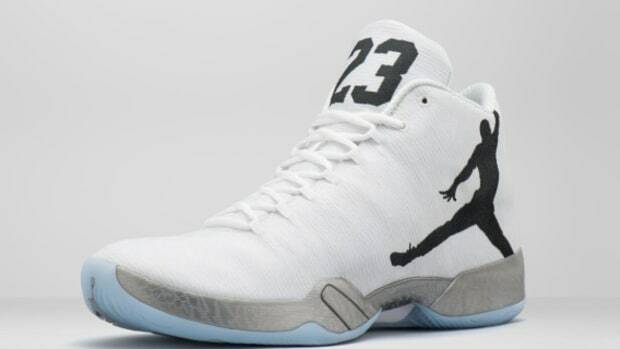 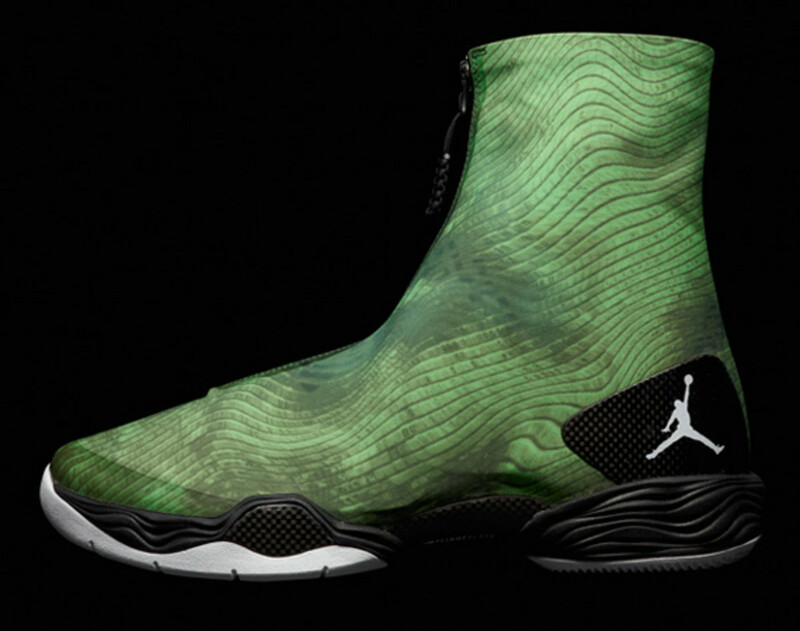 Finally, Jordan Brand&apos;s newest creation, the Air Jordan XX8 will be in the collection as well. 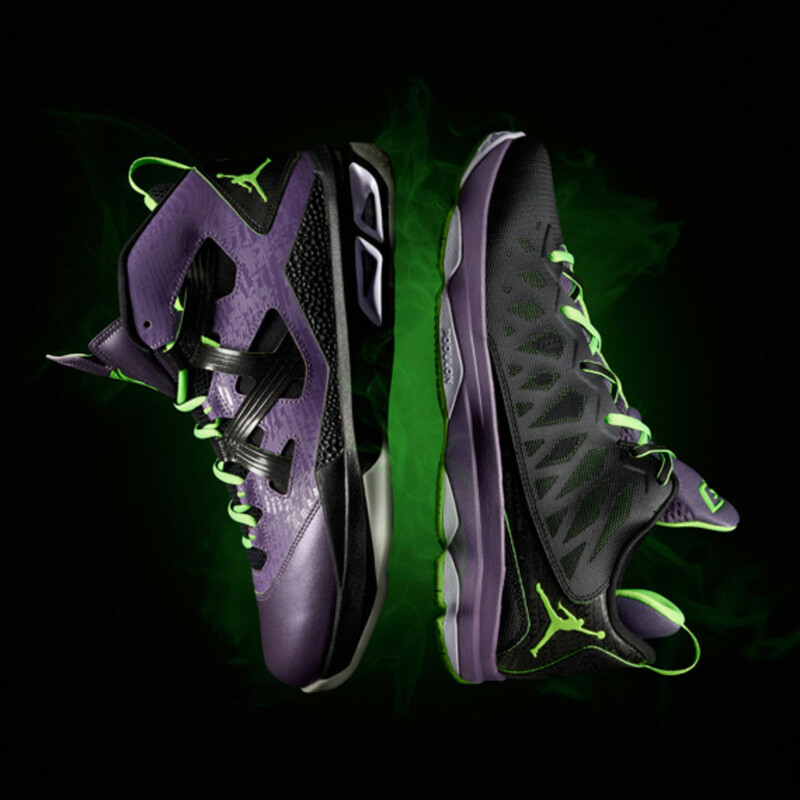 All will be appointed in a Black, Electric Green, Purple and Pure Violet color scheme, a look inspired by how objects looked through a night-vision goggle. 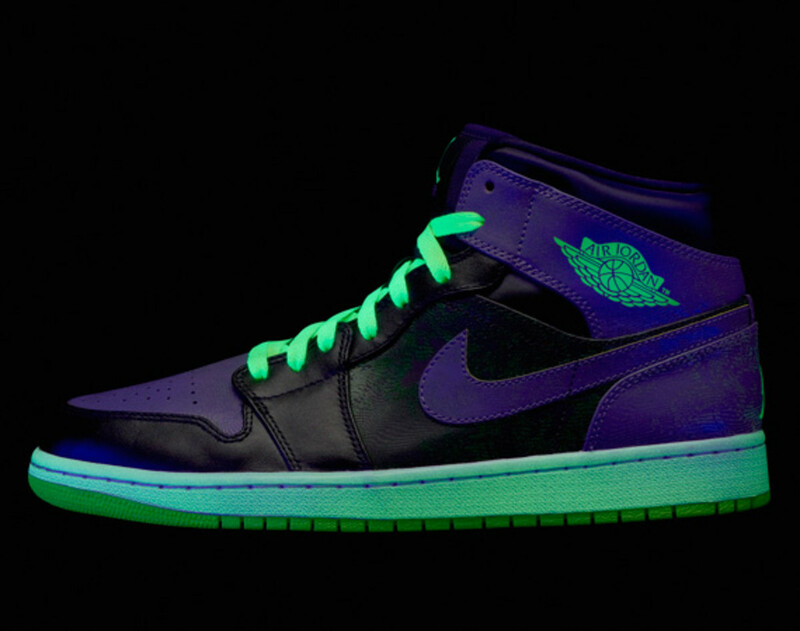 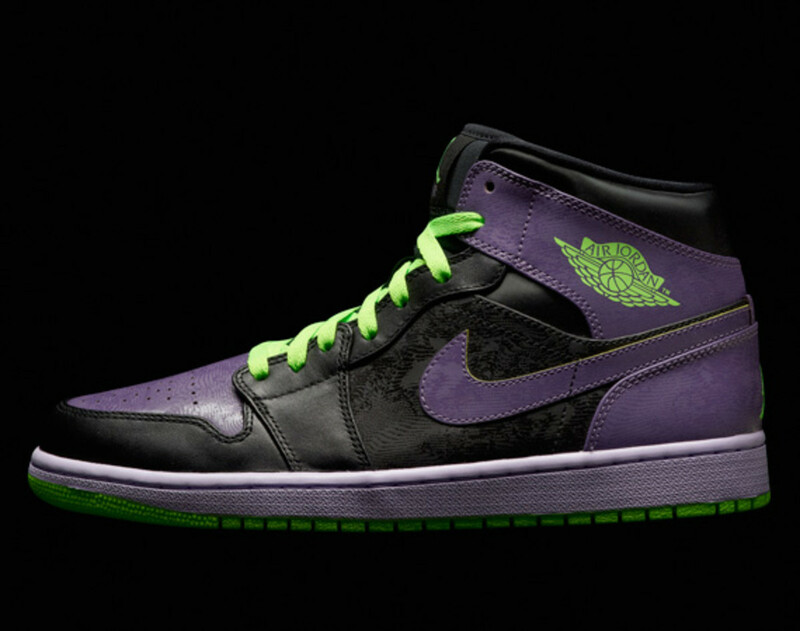 Furthermore, designers added ultraviolet sensitive ink to all the details. 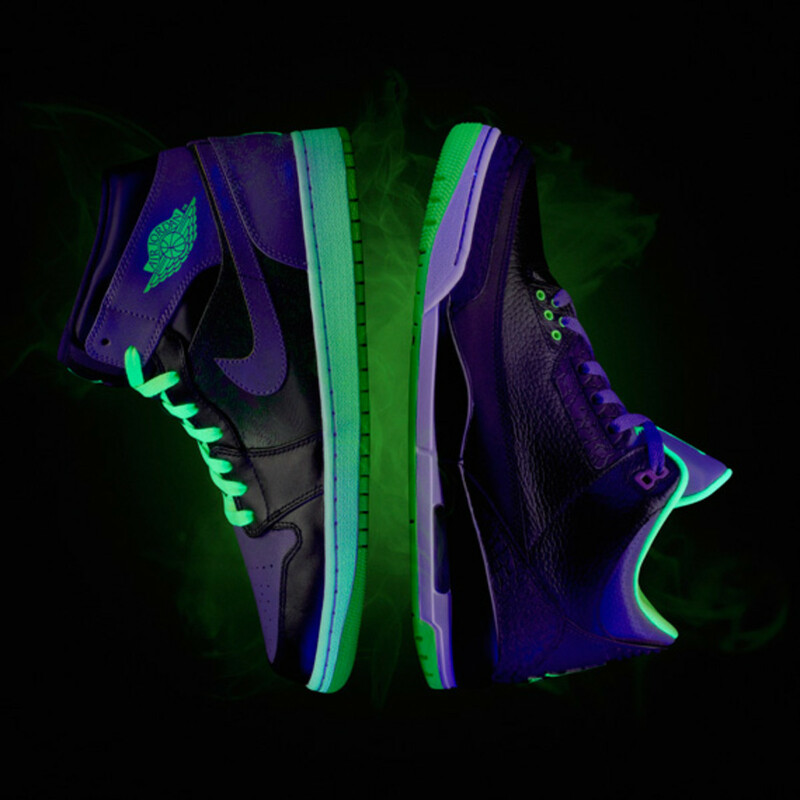 Now the pack will be illuminating different silhouettes when exposed to black light.